Date posted: February 4, 2016 by: JasonDarkX2 Category: Gaming 3 comments. Mirror's Edge Catalyst a faithful reboot of the original Mirror's Edge from 2008. Just got a lot more interesting after stealing the show floor of E32015. The hype is real as it draws closer to its release date of May 24, 2016. To make even better the fine folks at EA and Dice released a Story Trailer showcasing a more in depth story about everyone’s favourite rising heroine Faith and her amazing ability to Parkour and beat down bad guys as a runner. In Mirror's Edge catalyst you take control Faith Connor a young female part of a group known as the Runners in a futuristic city called Glass. As players progress through the game using Parkour movements to complete missions or evade enemies in an urban exploration of the city featuring an open- world and free-roam experience. They will learn more about her origin and her attempt to overthrow a totalitarian conglomerate of corporations who rule the city of Glass. 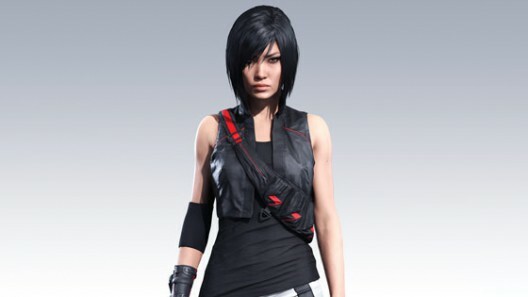 Mirror's edge Catalyst release on May 24, 2016(NA) and May 26,2016(EU). For the PlayStation 4, Xbox One, and PC Origin.